Here at KitchenWorld, it is important that our customer's receive the best service and experience with us. 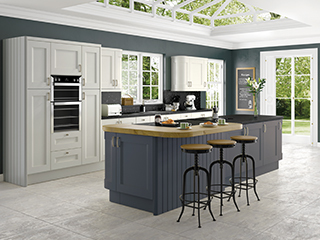 At our showroom we have a huge range of colours and styles for your kitchen which you can gain masses of inspiration from. 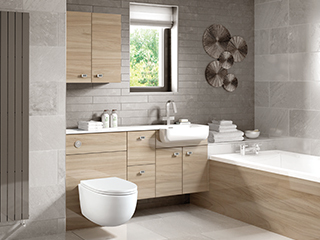 We take pride in every part of our design and installation services for all of our clients. 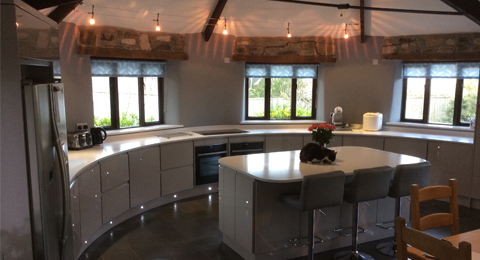 For this project, with the unique layout of the kitchen it was essential to make a home visit for this customer. 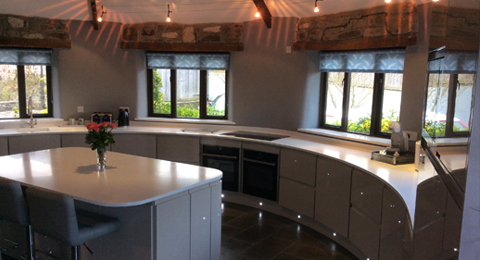 To fit the shape of the kitchen we created a lovely curved design with built in appliances to go around the outside and fitted a brand new island in the middle. 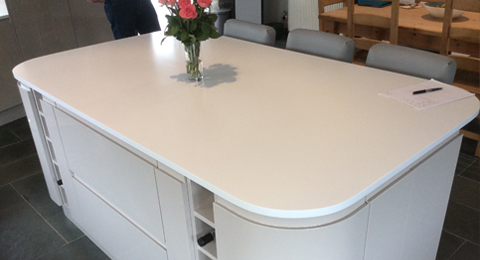 With the light colours on the cabinets and work tops , this kitchen has been updated to a much more modern design.